I can't say enough about Grace. She clearly has a breadth of knowledge and was key in terms of us buying the right home and selling our house. Right from our first meeting she was in tune to what was important to our family and what we were looking for in a house and neighborhood. She was always very responsive to our questions and needs. You feel a sense of personal investment when working with Grace. She makes you feel like you are her only client and you know that’s not the case. Going through the process of house hunting can be stressful but Grace made it an easy journey. I look forward to having the opportunity to work with her again and highly recommend her to others in the market. Besides being an outstanding real estate broker Grace is one of nicest lady’s I have ever met. Her knowledge of the local real estate market and dedication to detail is unparalleled. She went above and beyond what I expected when I decided to put house up for sale. Grace even helped me through getting work done on the house and acquiring necessary permits and certificates from the Village of New Hyde Park before we could sell the house. It become obvious to me that local officials and contractors knew Grace and had a great amount of respect for her as I know do. "I unequivocally recommend Grace Desiderio as a real agent for anyone who is selling or buying a home in New Hyde Park or the neighboring villages. I recently had the pleasure of working with Grace in connection with the sale of my Mother’s house. This is the second time my wife and I have relied on Grace as our agent as a few years ago we also employed her to facilitate the sale of my father in-law’s NHP house. Grace is the consummate real estate professional who knows her market extremely well in terms of current property values, market trends, and how to “position” a home in order to maximize interest/price. She was extremely helpful in making suggestions for improving the property and recommending the right people for the job. For example, my mother’s unfinished basement was a mess. Grace made a number of useful suggestions to repair and improve things and also took the initiative to hire a handyman on our behalf who promptly got the job done at a reasonable price. When the buyer’s inspector identified a termite issue and a leaky sewage pipe, Grace immediately stepped up to the plate recommending an exterminator and plumber to fix the problems and Grace coordinated with them to do the job. Since I live in CT, this level of service by Grace was invaluable. One of Grace’s many strengths is her grit and determination to close the sale. We had many ups and downs during our sale due to the buyer’s idiosyncrasies which at times was frustrating. Grace never quit, she never stopped treating our sale as the most item on her plate and her perseverance in resolving issues was crucial to keeping the deal alive. In the end we consummated the sale at a very attractive price Grace is very personable, always returns phone calls promptly and treats client service as a top priority. My wife and I wholeheartedly recommend Grace Desiderio. 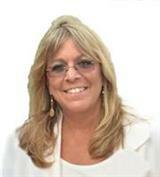 She is a terrific real estate agent and a very nice person to boot!" "I could not have gotten a better, more experienced, on top of everything, very communicative, smart, great negotiator broker than Grace Desiderio. Grace from the initial contact for sale through closing took charge of everything, suggested contractors at prices that I could never get on my own. Very prompt very supportive up to the end. I strongly recommend Grace for any real estate transaction. Whenever I would become anxious or nervous (this was my move at age 73 and after 45yrs at the same house), Grace reassurance and words of comfort made the whole process a very pleasing experience. If you have to sell, buy or rent a property, I would choose Grace of ERA Caputo realty without hesitation. And the whole staff at ERA Caputo were very professional in each and every way. Thank thank you Grace I will never forget what you did for me. Joe Mezzafonte 551 6th ave New Hyde Park NY"
I am writing this letter to thank you for all of your assistance in selling our home. We chose you because we wanted a Real Estate Agent from the area with many recommendations and an excellent record, which you have both as sellers’ agent and buyers’ agent. We knew immediately, from day one, that we chose the right person. And you exceeded our expectations. You certainly do know the neighborhood. I don’t think there’s a section or type of home that you are not familiar with. It‘s great to work with a professional so experienced, knowledgably and pleasant. Grace, it’s a pleasure to know you. I was a retired real estate broker and house owner in New Hyde Park. After my house on "owner for sale" about half year, I met some difficult to sell. I called Grace for quick sale in Aug. 3, 2017. I only gave her listing for two months. She works very hard. She brought buyers almost everyday. We got good offers on first week. She try to look for high offer. She arranged one "open house" after a week. Fifteen buyers visited my home on "open house", one family by one family entered my house, she showed it with each buyer during two hours. In Aug. 15, 2017, I received four offers higher than listing price, Grace selected one qualified buyer, so this deal was successfully completed on time. She is a very active and patient agent. She followed up every step during the process, she was my consultant, and I trusted her very much, She is a right person if you want to sell or buy home. The result is the most important thing in real estate business. I appreciate her professional service. Finally I hope Zillow and MLSLI can publish my valuation. Grace is a seasoned and wonderful real estate agent. Not only did I close on my home in less than three months but she was extremely transparent and willing to accommodate and find services that you needed along the selling process. She is very generous and willing to work with you every step of the way. I would highly recommend her for her professional services and courteousness as a real estate buying and selling agent as she has the knowledge to seal the deals that comes along her way. Thank you again Grace and I hope to do further business with you down the road! Dear Grace I want to thank you for your tremendous support during the past two years, as we went through the long process of cleaning up and preparing our family home for sale after 55 years and closed on July 14, 2017. You proved to be far more than a real estate agent, and I am grateful for all the ways in which you so willingly helped me through this difficult process. You came highly recommended after successfully selling my brother in laws childhood home and so glad you did. No one lives and breathes NHP and surrounding areas more than you! The things that will stick in my mind include the offer of the servicers; your suggestions for what should be done to prepare the house for market, you went through our home and suggested practical and inexpensive ways to present our home at its best and then your suggestions of trades (plumbing, electrical, cleaning, painting and Attorney) to carry out that work and Closing turned out to be first rate! Your knowledge, resourcefulness and professionalism were incredible Your commitment, enthusiasm, care and professionalism during the sale process itself were without compromise. Your pricing was straight on; your commitment to getting exposure for the house was amazing. And the fact that we were able to close without issues is attest to your skill and dedication. Finally, let me acknowledge that this was a house sale that was complicated by the fact that I live in Los Angeles, Your willingness to go the extra mile for me by being present and paying for expenses for work that was needed is just one of the examples which made a huge difference. Amazing…. you kept me up-to-date on all of the activity and feedback on the house even though I was far away. I depended and trusted you. I don’t know if I could have done it without you! I would be very happy to give Grace Desiderio my highest recommendation and more stars for anyone desiring to sell their property or buy one. Her in depth KNOW HOW and the numerous professional and personal contacts in the business, places her in an enviable position from where she can take advantage of opportunities for her clients which other realtors can only dream about. This alone sets her apart from all her fellow realtors. I will forever be grateful to you for all of that and more. Grace is an absolute professional! She handled the sale of my home from beginning to end with unmatched precision . She stayed in contact with me the whole way,always responded to me immediately,and updated me with all new information on a consistent basis.She got full asking price for my house on the first day!! I can guarantee if you hire Grace you will not regret it.PS I have been in sales my whole life and very critical of other sales people, she exceeded my expectations. Our experience of selling my deceased parents' home could not have gone smoother. Grace, while being very professional at all times, was sympathetic to the fact that this was an extremely difficult time for my brother and me and did all she could to make the process as painless as possible. I do not live in the US any more, but Grace managed everything beautifully in my absence, at times going to great lengths to source documents that were required for the sale. She was able to organize tradesman, architects, electricians and the town to make sure all approvals would be met before the closing date. Grace understands the process and what is needed to finalize the sale. Our home sold on the weekend we listed it to the first people Grace showed through, and there were 5 other offers. I would highly recommend Grace for her professionalism, attention to detail, willingness to get all the smaller details of the sale attended to, excellent knowledge of the area and her sincerity and kindness. Thank you, thank you, thank you, it was an absolute pleasure working with you. You were there every step of the way to make my sale of my New Hyde Park home a success. It was comforting to know that each and every open house was being handled by you; you made sure that my home and its possessions were always safe. You and your office made setting up appointments with other agents a simple matter and it was comforting to know that if I needed you, you were only a call away and the fact that you always answered or got back to me very quickly was great The home inspections went very smoothly and again I was very happy that you were always there to make sure that I had your support. Please feel free to call me and visit when you are in Florida. I just wanted to let you know how happy i was that I chose you to be my broker. I could not have selected a more professional, knowledgeable or attentive person. You really came through for me!!!!! I was such a nervous wreck trying to coordinate fixing up and cleaning out my house of 38 years and preparing for a big move to Georgia in a short time span, and all the time you were by my side encouraging me and promising me my house would be sold and I could be in Georgia by the end of the year, and I was. I really appreciate your understanding, compassion and hard work. You made me feel like I was your only client. You really are "Grace under fire". As a result, I have highly recommended you to all my friends on Long Island. I wish you could be my broker again but I think Georgia is out of your territory(LOL). Again, I thank you with all my heart and wish you well and much success in the future. I just wanted to thank you for all your help in selling my New Hyde Park home. I was referred to you by my brother who dealt with an agent in Stony Brook who gave us your name. You were the first agent I interviewed when I decided to sell my home. You were prompt, personable, knowledgeable and clearly described the selling process to me. After meeting you, I felt I did not need to meet with any other agents. You suggested small improvements to my home. You advised me what I could expect to receive for my house and priced it accurately You set up two Open Houses which were attended by a great amount of people. When the first potential purchaser took too long providing information, you immediately set up the second Open House that my future buyer attended. I was extremely glad to see your friendly face at my closing where you helped me keep my composure as that closing was very emotional for me. I am go glad that I chose you to sell my home. I recommend you and your services to anyone thinking of purchasing or selling a home. Thank you from the bottom of my heart. however, I soon found that you stood out alot in a very positive way, from all the other agents. Rather than make small talk, you are very professional and made me feel at ease immediately, as I did not wish to discuss my personal difficulties. In addition to having a very pleasant and nonjudgmental disposition, you were very much an active and energetic problem solver, and you helped me with the benefit of you years of expertise. At the closing, someone referred to you as the "Queen of real estate agents," and just as they meant this is the most complimentary way possible, I had realized throughout this process that I was indeed lucky to have made the decision to have chosen you to represent me. From the beginning, you immediately sprang into action, offering me ideas and contacts to help me navigate the difficult situation that I had found myself in as I tried to sell my home. The numerous obstacles, repair of the home that I had to sell, dealings with the Building Department at the Town of North Hempstead, and many small concerns, all were addressed by you in a most pleasant and immediate manner. I found it so impressive that you would respond to texts and calls immediately. Your pleasantness, expertise and availability have made this difficult task much better than I had anticipated, and for this I am very grateful. Hope you are doing well! Glad to let you know that we finally settled down in our new place in Florida, here is a photo of our home as we promised. We also want to express our appreciation to you on the selling of our house in New Hyde Park. Without you, we won't be able to make this long distance transition timely (avoided the serious snow storm) and smoothly. We are very happy to have you as our realtor, you provided us outstanding advice in preparing the home for sale and guided us throughout the process. You acted promptly in every aspect of the sale - listing, photographing, advertising, negotiating, problems solving and contracting. Your knowledge of our area and experience in home sales had made our experience a very pleasant one. You impressed us with your sincere personality and warm willingness to help, your diligence and professionalism had exceeded our expectations. I can't express more in thanking you for the excellent service, I am looking forward to recommend you to our friends and relatives. Stay in touch. Grace Desiderio. We first met Grace in the fall of 2014 when she was the agent for our neighbor's house at 1627 Gilford avenue, New Hyde Park. Her professionalism, enthusiasm, and energy was quite obvious to my husband and myself. With that, the house closed in a few months. Therefore, without hesitation, we contacted her when it came time for us to put our house at 1631 Gilford Avenue home on the market. She immediately did her "homework" and came to meet us in our home. With her 19 years of experience, she came up with a selling price that we were happy with and she thought to be fair for the market then. She didn't think we would have any problems selling our home. Her nephew Mark(who was always punctual and professional as was she) came to take pictures inside and outside and they were posted on the internet the next day. Grace not only understood the pride we felt, but also the emotional attachment we had to our home after residing in it for 45 years. Grace made the necessary arrangements and did the advertising for our first open house on Sunday, April 26th. Our neighbors told us that people were waiting outside to get in because there could only be a certain number of people in the house at the same time for Grace to show the house properly. If memory serves me right, I think there were 20 families that day. We had every confidence in her and she didn't let us down. After 2 weeks we had many interested families which made us feel good. Grace had to leave for a brief vacation in Florida that had been arranged quite some time ago. In all honesty, I have to admit, that we had our concerns. She reassured us that she would be on top of everything even though she wasn't physically here. Sure enough, she was reaching out to us to inform us about anything concerning the interests and offerings that were being made and she was always available to us at any time. One month later, Grace saw the market was increasing with the number of houses for sale and at that time, she suggested that we should consider lowering the price slightly since we didn't have central air, hardwood floors and a new kitchen. Of course, everyone wants the most they can get for their home but we agreed since we were anxious to sell. Shortly after, we had 3 offers and, before we knew it, we were going to contract with a nice family who was impressed with the quality of our home. Any kind of "hiccups" that came up she handled in a professional way-no matter how big or small. she knew who to contact immediately and gets the job done. What better way to show our confidence in her abilities than by listing the sale of my parents home with her on 104 Bryant Avenue, New Hyde Park. Once again, she came up with a fair asking price ad they had 3 offers just after their first open house. Evidently she did her "homework" once again. Whenever she said she would call us back after speaking with the buyers, the buyer's attorney, our attorney, New Hyde Park Village Hall, Multiple Listing Service, etc., she always told us exactly what was happening and what to expect. We feel that Grace has always gone above and beyond her call of duty. My husband and I saw firsthand why she is your top producing agent. Grace is an invaluable asset to your team of agents. We would recommend her without hesitation to any perspective sellers or buyers. She is always professional, upfront, and looking our for her clients. We feel that we've made a new "family" friend. It is with such pleasure and gratitude that I write to you. I would like to take this time to express our family's appreciation for having you as our realtor, both at selling and buying end. Back in March of 2013, when my husband and I were looking at agents to market our home, I could tell within the first five minutes, that we would be most happy with your expertise and services. Our home went on the market on a Wednesday night and two evenings later, we had accepted an offer...that offer of course being asking price for our home. My husband Paul and I believe that the home was precisely priced for the real estate market during spring 2013. You have a thorough and extensive knowledge of the New Hyde Park neighborhood. You have lived in this community for years and it is no wonder why so many homes for sale in the area carry your name on their For Sale sign. My husband and I can honestly say that the selling of our home went incredibly well and very smoothly. It was largely due to your practice of bringing in serious buyers, who weren't looking to waste time with serious sellers. You also have a knack for making selling of a as least invasive as possible. You took the calls of interest in the home, arranged times to show the home that were convenient for our family, and were there 100% of the way for an experience that was perfectly executed. Your organization should be commended. In May, 2013, we found the house of my dreams. We called you to get us in to look at this house. Knowing full well that there were a host of issues associated with this dream home in my dream location, you had invested so much of your time into taking our countless telephone calls, exchanging information with third parties involved, and you were there every step of the way...again. We valued your input and could sense that you were giving honest advice of the situation. You had our protection in mind, this time from the buyer's standpoint. It was a long road with this dream home...a road that we walked because we believed we would experience bliss at some point. Well, yesterday at the closing I experienced this bliss!You sat right next to me at the closing, and could really feel how elated we were when the keys to our new home were turned over. We needed you on this road. Your generosity towards us from partnering with you at the selling and buying end was appreciated. We thank you again for remembering us also on our closing day. We will have you over to our new home and see what we have don with the place. We obtained your name from our dear friend. Our dear friend is planning on using you as his agent again. We can unequivocally say that you are wonderful at what you do and enjoy what you do. Knowledge is power and you have the knowledge of the real estate market. We will remember your name, should a friend or family member need a realtor. We wish you all the best and when you drive by our new home, smile and think of how happy we are! We recommend you all our days! No one can do better than you. When I stopped by the office to drop off some paperwork after our closing, you were on the phone at a document filled desk working on the next deal. Your knowledge and connections made our deal a seamless experience. Unquestionably the best in the business. Her knowledge of the market, area and process are second to none. Her candid straight forward style is refreshing and she simply gets the job done professionally and efficiently for you. If you want to sell or purchase a home, you'll be hard pressed to find someone better. My husband and I met Grace when we were looking for a house in New Hyde Park. We were living with my mother in her 2 family house also in New Hyde Park and she recently had passed away. The 2nd house we went to see is where we met Grace. She was very informative and was helpful and concerned about our needs. After completing the walk through, we knew this was the house for us! Grace was always there for us, and did her best to make us all happy and I believe she did! Then, within the next two years, we put my Mother's house on the market and the first person we called was Grace. She went above and beyond her requirements to help us and within a few months the house was sold. Once again, she was there for both us, as the seller and the buyer and once again, we were all satisfied. Going forward, as in the past, Grace will always be the first and only one that we will recommend to anyone that will need a real estate agent. We are sure she will always be fair and do her best for all that are involved in the sale/purchase of a home. We were very lucky to have found Grace after having interacted with alot of other realtors. She does not waste your time or try to convince you to purchase a home above your means. She is very knowledgeable of the areas she serves and of the school districts. She always double checks her answers to whatever questions you may have. She is well known and has a great repoir with the real estate community. She is always busy and that is for a good reason. I will always recommend her. This is a letter of appreciation for the absolutely great job you did in helping us through every aspect of selling the Estate property on 11 Kingston in New Hyde Park. Given that we live out of state, we needed more assistance than most. Permit problems with the town extended the sale time frame significantly, and complicated issues even more. Our situation gave you plenty of opportunities to disappoint; you never did; not once! Availability/Responsiveness-It is still unbelievable to us how available and responsive to issues you were. It felt like you were working exclusively for us 24/7. Advice and Guidance-In the beginning, we asked about some things just to test you. Over time, we came to trust your judgment implicitly. In hindsight, all your calls were the right ones! Assistance with repairs-When we needed work done on the property, you not only had people lined up that could do the work quickly and at a fair price, but you handled all access and coordination for us. Dedicated Professionalism-We interviewed a number of agents with widely varying assessments of the market prior to selecting you. Yours proved to be "right on". You also set higher expectations for service, and lived up to them. From exposing the property, assessing buyers, managing inspections to negotiating price, we were impressed with your competence and professionalism. You got us a better than initially expected price, and reduced our pain/frustration level with the process significantly. It was a pleasure working with you. P.S. - Carol wants to start a Grace Desiderio Fan Club! On behalf of my family, please accept our heartfelt gratitude. When it came time for us to sell my Mom's house in New Hyde Park, my sisters and I did not know where to begin. We were so blessed t have contacted ERA Caputo Realty and have the opportunity to work so closely with you over the last several months. Your patience, understanding, professionalism, and dedication were apparent throughout the process. Even with the downturn in the economy and real estate market, you always showed enthusiasm and motivation to offer additional open houses and welcome prospective buyers into our house. Your level of communication with us was superb, especially since my sisters and I do not live in the area. Since some repairs needed to be made in the house, you graciously agreed to provide recommendations of contractors and oversaw the completion of each task. We knew the house was in safe hands and that you would insure that all repairs would be completed appropriately. You were always there for us, for which we are all very thankful. In fact, you went above and beyond what we could have hoped for. As we near closing date, all of your hard work for us will come to an end. But, I know that you will be an asset to any family in the area wishing to sell or purchase a home. In closing, please accept sincerest thanks from Mom, my sisters Karen and Celine, and me. We applaud your outstanding commitment to serving families in the area and wish you much continued success. Grace was very down to earth, did not come in with a 'dog & pony" show, and gave her honest opinion on location, pricing, school district, backing it up with her reports. She was very complimentary about the condition of our home but was honest about the 1 bathroom draw back. The house was put up for sale in May 2010 and closing was August 31, 2010. It was sold thru a multi listing, Real Estate in Franklin Square. During the time it was up for sale, Grace always contacted me to give me the updates of open houses that were held. Ironically it was thru the multi-listing that the first bid came in too low but Grace discussed educating the potential buyers with the multi-listing Real Estate. Because of this, the same couple that put in the low bid were the ones to re-bid and purchase our home. There was never a time Grace did not return one of my calls. She was the most "real" person we interviewed from Real Estates to discuss strategy and recommended a great Real Estate Lawyer for the closing. Someone we felt very comfortable with during an emotional time because our Mom passed away in February 2010. Thank you for sending her t us. I am writing to express my gratitude to you and your agent, Grace Desiderio, for the excellent job that was done in connection with the recent sale of my mother's home. The sale was completed in latter 2001, but some very important things were done prior to that. My 93 year old mother had lived on Plainfield Avenue in floral Park for over fifty years. As you can imagine, the idea of leaving the house was not something that she ever wanted to contemplate. Nonetheless, the death of my father and the ravages of old age finally prevailed and we began to talk about the inevitable. I believe it was in April or May that I persuaded my mother to interview a few realtors for the purpose of opening a line of communication and getting an idea of what the house might be worth. You and I spoke at that time and fortunately you decided to send Grace over to meet with us. Although my mother was not ready to list her house at that time, she very much appreciated Grace's professionalism and demeanor. Somehow, in that brief meeting, my mother decided that here was a person who she could trust and feel comfortable with during this potentially painful person experience. When her long-time next door neighbor moved to Florida, my mother was convinced that it was time for her to do the same. At that point, there was no question in our minds as to who we would call to help us. Grace did an outstanding job from two very different perspectives. I was impressed that she had lined up at least a half dozen potential buyers for the house for the house in the absence of a contract. That is, after her first visit, she decided who might be interested in this particular house-a major fixer upper-and let them know that it may be coming on the market sometime soon. Thus, when we did sign the contract, she had the house sold in a matter of days. You may recall that we had four full price, no contingency offers and several others as well and we ended up selling for a premium. Having bought and sold many houses myself over the years, I know exactly why this happened; Grace had done her homework and she did it up front. The second perspective was personal and, in a sense, was even more important to me since I live in North Carolina. From the time we listed the house to the day we vacated, Grace took an incredible interest in seeing to my mother's needs. Since she was trusted, Grace was asked to help with various and sundry tasks, most of which had nothing to do with the sale of the house. These included witnessing the signing of some financial documents, obtaining medication for poison ivy, calling me dozens of times to collaborate on hos to soothe my mother's mood swings, visiting her endlessly to reassure that everything would be okay, and so forth. This was truly extra duty and she did it happily. Finally, on the day of the physical move, only Grace was able to coax my mother out of the house and into the getaway car and collect the keys that she had adamantly refused to turn over to me. My mother left, thankfully, because she wanted to please Grace. As you might guess, all of these kindnesses meant a great deal to me, even more because I was spared the worry and expense of dealing with so many issues that couldn't have been handled long distance. I am most appreciative that you had the good sense to assign Grace This job. She was superb. I only wish tht I had a few more houses For ERA Caputo and Grace to sell! Best Wishes for a Good 2002! You were always there to take care of things for us. This is vitally important to us, since we were in Florida for much of the process. You handled things promptly, and professionally, and always made us feel that we were in good hands. We would not hesitate to recommend you and your office to anyone that we know that may be in need of service. Grace did an outstanding job. In our first meeting with Grace her professionalism was evident, she had done her homework and was ready with a plan. My brother and I were immediately impressed and gave her the listing without hesitation. She checked with the Village of NHP and informed us about what we needed to be done and how to accomplish it. Her constant communication regarding potential buyers lead us to sale within a few weeks of it being on the market. Just before closing Hurricane Irene arrived causing minor damage to the house. Grace helped me find contractors in the area and speed up the repairs. I would definitely recommend Grace Desiderio to anyone looking for a realtor. I just wanted to drop you a quick message to extend my heartfelt thanks and appreciation for all of your help with the house. Being an out of state seller normally makes it difficult to get things moving in the right direction...but you sure proved just the opposite! Your attention to detail, follow through, and charismatic personality made it possible to get past every hurdle that this sale threw at us. I can't thank you enough for everything you did...thank you, thank you, thank you!!! We would like to commend Grace Desiderio on her ability to find us a home;she spent quite a bit of time trying to find us a home and never gave up. One of the things that amazed us was every time we would pick a day to see a home Grace was always on time and had a smile on her face, sometimes I would say to myself boy would I like to have what she is having. I was a drag on Saturdays to see a home, but Grace was there with a smile and when we left she would say don't worry we will find a home. She was right. Thank you Mr. Caputo, Thank You Grace. She also was able to provide us with excellent people to finish the transition from renter to homeowner. Grace recommended Joe Purschke, Wells Fargo, for our loan which went very smooth. Grace recommended Pat Goodsell as our attorney, along with a building inspector who was very knowledgeable and honest, and last but not least a termite inspector, it was like one stop shopping. We cannot thank Grace enough for making a difficult purchase so easy with the right people. I can't thank you enough for all the guidance you provided in the course of preparing my parent's home in New Hyde Park for sale. Not only did you recommend quality contractors, but you provided assistance in selecting colors and finishes, and helped me decide which remodeling projects to undertake that would yield the best price for the home. Since I was living out of state during this whole process, you and your office provided contractors with access to the house and even waited with them when necessary. You were always available to talk, text or respond to emails from morning until night, promptly, regarding any question large or small. For anyone who is buying or selling a home, they will not find a more dedicated, trustworthy, pleasant real estate agent to work with! It is with great pleasure that we write this recommendation for Grace Desiderio. We just very recently completed a sale where Grace was our listing agent. Not only is she easy to talk to, she is extremely professional, very knowledgeable and detail oriented. She marketed our house better than we imagined and we were able to go into contract in about 2 months! She was always reachable and right there to hold our hands through the selling process. She was proactive at all phases of sale-pre-listing, listing, effective showings/open-houses and sale negotiations /due diligence. We highly recommend Grace for your real estate needs! Zoro and I wanted to sincerely thank you for helping us sell our house in New Hyde Park. Your level of expertise and professionalism was outstanding. You made a stressful time in our lives very easy. Anytime there was an obstacle in the road, you were there with a quick solution. We were so happy our house sold so quickly and know we would have never gotten the same results without you. We will continue to recommend you to our friends and neighbors. We would like to take this opportunity to compliment you on the excellent and professional service you provided in the recent purchase of our new home on Ingraham Lane in New Hyde Park. You presented a very sincere, professional, knowledgeable and effective approach to our needs. We felt that you had an equal interest for both the seller and buyer and represented us fairly. We can honestly say that it was your professional and sincere attitude as well as your demeanor that facilitated our decision to "close the deal". We will always appreciate your efforts and interaction and we wish you all the best! I would like to share my experience in selling our home and let you know what a pleasure it was working with your agent Grace Desiderio. When we decided to sell our home in New Hyde Park, I knew immediately which realtor I wanted to use. Being an avid dog walker, I noticed that Grace Desiderio's properties seemed to move faster than realtors from other companies. And I am so glad I chose Grace! She was sincere and honest from the very start and always prompt in returning our calls, providing answers to any questions or reassuring us on any uncertainties. After a few weeks, Grace felt like family to us with her good sense of humor and compassion. She went above and beyond to help us get issues resolved and move forward. We will always be thankful to Grace and have already recommended her highly to neighbors and anyone wishing to sell their home in New Hyde park. Mary Ann & Sally R.
Please let me take this opportunity to thank you from the bottom of my heart for being with me every step of the way during this process made so much more complicated than it had to be thanks to the Town of North Hempstead. From day 1 when we met, you went over and above what I expected a real estate agent would and I am profoundly grateful. Your willingness to make yourself available so that the different trades would have access to my home when they needed it was an invaluable service. being away from the area, you made this transition easier for me. Again I thank you so very much sincerely with you all the best in your future endeavors. We moved into our new condo on November 7th, 2013. We just want to drop a line to thank all the friendly people at your office. Everyone that we had occasion to meet were always pleasant. But, one person really went above and beyond to help and guide us through the process of selling our home on New Hyde Park Road, in New Hyde Park. The wonderful lady that helped us is Grace Desiderio! She was the nicest person! Always patient and helpful. We just cannot say enough about her. We will gladly recommend ERA to anyone we know that may be considering selling their home. Just a note to thank you very much for all your help during the sale of my house in Floral Park. You went above and beyond to help me since this was the first time I ever sold a house. When my Mother had a stroke in the middle of all this excitement, your support and assistance with all the details of prep and sale were amazing and appreciated. It helped me focus on her care. Because of your concern and professionalism, I was very confident in you follow up on the tasks associated with the closing and final details. And you came through, doing exactly what you said you would Very rare. During closing, my lawyer commented to me that in her 25 years as a lawyer, she could name fewer than 5 real estate agents she would be willing to recommend. She said you would be at the top of that list. All the final papers, details, and tasks were completed quickly, efficiently, and professionally. She said you were a pleasure to deal with. I would not hesitate providing my highest recommendation for you. Please feel free to use me as a reference at any time. It was only a few months ago when my family had to make the difficult decision on my father's behalf, that he could no longer live alone in his home. He had to move to an assisted living facility. That move resolved one big problem but the daunting task of selling the family home of 55 years remained. I was so lucky to see the ad for your agency and Grace Desiderio on the dining room table when I went to the house to pick up the mail. I did want to deal with a local realtor, so I called Grace's number. Within twenty minutes she was at the front door. That began a truly wonderful experience. I had absolutely no idea what was involved, but with Grace's advice and guidance the whole process went amazingly fast and smoothly. She was always there when needed, and her integrity and honesty helped me get through a very stressful time. I'm sure you've heard this before about Grace, because, her work ethic and high energy must have been appreciated by many other clients. But I needed to add my voice, and let you know what an asset Grace is to your agency. It's nice that she can bring in a commission, but it's worth so much more when Grace creates such good will and favorable word of mouth advertising for your agency. Thank You Grace for an outstanding job. I would like to thank you and your staff for helping my wife and I with the sale of our house in New Hyde Park. Despite the inherent stress that accompanies selling a home, our agent, Grace Desiderio, made every aspect of the sale pleasurable and stress-free. From the initial meeting to the date of closing, Grace was there for us when we needed her, and the service and quality of care was nothing less than excellent. Grace was a wonderful advocate for us in the sale negotiations. Grace ensured that we obtained a higher price than we expected on the sale of our house, and that we closed on the date that we wanted. In fact, notwithstanding the horrible weather conditions that we endured the winter of 2002-2003. Grace was able to obtain not one but four comparable offers for our house within two weeks of placing it on the market. Moreover, Grace went out of her way to ensure that everything was taken care of prior to the closing. For example, she informed us that our home lacked Certificates of Completion relative to several upgrades to our house, and that their absence could be problematic at closing. Nevertheless, Grace took the initiative to ensure that the Certificates were in place well before the closing. Furthermore, Grace was always available to us relative to any concerns or questions that arose in the sale of our house. She was prompt in returning all of our telephone calls, and she was always ready with the relative information. On a final note, Grace was extremely professional in every aspect, and always made us comfortable during the entire process. I would definitely recommend Grace Desiderio to anyone looking for a realtor, as well as the services of ERA Caputo. This letter is being written to inform you of our experience working with Grace Desiderio. We feel it is important to contact you and let you know about the level of commitment and concern she provided to us during the very difficult sale of our home on 574 North 6th Street, New Hyde Park. Despite the fact that our home "should have sold" quickly, it seemed that there were difficulties right from the beginning. It was listed by Theresa L. and Grace, and after the initial listing papers were signed, the only contact we had was with Grace. She kept in touch with us regularly via telephone and advised and supported us through many difficult decisions. We had little contact with Theresa, but Grace made up for that. Unfortunately we were caught right in the softening of the market and the difficulties continued, but Grace remained in touch even when we were out of town. After we vacated the house and moved to Florida, she pitched in with the helping to keep the house secure. When the house finally sold, and we ultimately had an incredulous situation regarding the closing, Grace again maintained contact with us and with our attorney and went "above and beyond" helping to complete the transaction. Had it not been for Grace, we probably would have listed our home elsewhere when first first listing expired. We could not see the purpose in that however, because we could not imagine getting more attention or better service from anyone else. We want to make sure that you recognize some of the reasons that Grace is a successful salesperson and how much we valued our relationship with her.